Pakistan is far behind than Western countries in Education. Illiteracy rate is very high in the country. One reason for this is shortage of Educational institutes. for example if we talk about the Universities. there are only 127 universities in Pakistan out of which 73 are public and 59 are private. 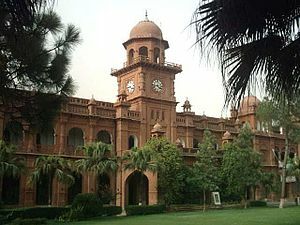 Still some Universities are providing very good education in Pakistan and many former students of these universities are working on great posts around the world.